Evaporation is the process by which water changes from a liquid to a gas or vapor. Evaporation is the primary pathway that water moves from the liquid state back into the water cycle as atmospheric water vapor. Studies have shown that the oceans, seas, lakes, and rivers provide nearly 90 percent of the moisture in the atmosphere via evaporation . . Heat (energy) is necessary for evaporation to occur. Energy is used to break the bonds that hold water molecules together, which is why water easily evaporates at the boiling point (212° F, 100° C) but evaporates much more slowly at the freezing point. Net evaporation occurs when the rate of evaporation exceeds the rate of condensation. A state of saturation exists when these two process rates are equal, at which point the relative humidity of the air is 100 percent. Condensation, the opposite of evaporation, occurs when saturated air is cooled below the dew point (the temperature to which air must be cooled at a constant pressure for it to become fully saturated with water), such as on the outside of a glass of ice water. In fact, the process of evaporation removes heat from the environment, which is why water evaporating from your skin cools you. . . Evaporation from the oceans is the primary mechanism supporting the surface-to-atmosphere portion of the water cycle. After all, the large surface area of the oceans (over 70 percent of the Earth's surface is covered by the oceans) provides the opportunity for large-scale evaporation to occur. On a global scale, the amount of water evaporating is about the same as the amount of water delivered to the Earth as precipitation. This does vary geographically, though. Evaporation is more prevalent over the oceans than precipitation, while over the land, precipitation routinely exceeds evaporation. Most of the water that evaporates from the oceans falls back into the oceans as precipitation. Only about 10 percent of the water evaporated from the oceans is transported over land and falls as precipitation. 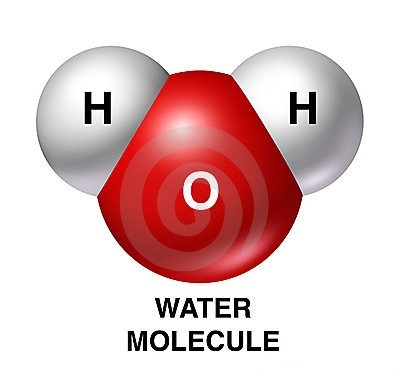 Once evaporated, a water molecule spends about 10 days in the air. The process of evaporation is so great that without precipitation runoff, and groundwater discharge from aquifers, oceans would become nearly empty.